This bandanna quilt makes a great picnic or beach blanket. 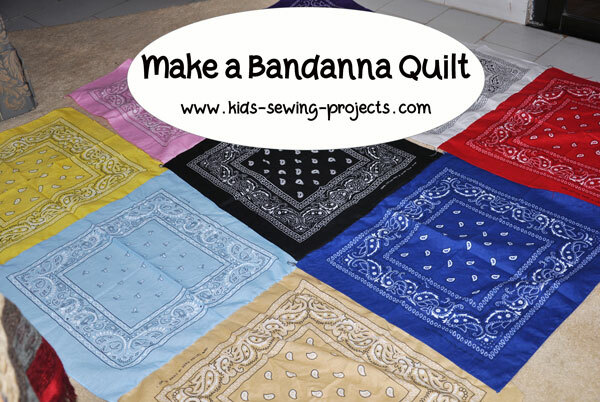 It is an easy introduction to making quilts also as the bandanna squares are ready to be sewn together. 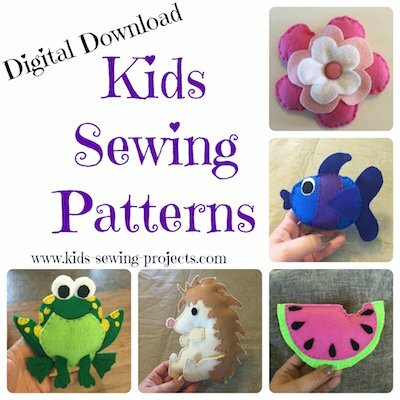 We have directions and pictures to help you through this quilt tutorial. 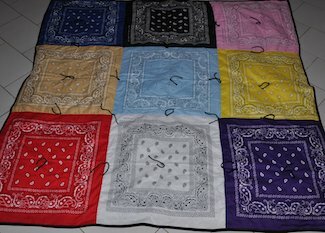 Arrange your bandannas in whatever pattern or colors you want in rows. 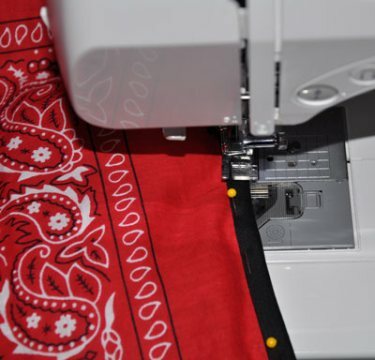 Sew three bandannas together for the first row. 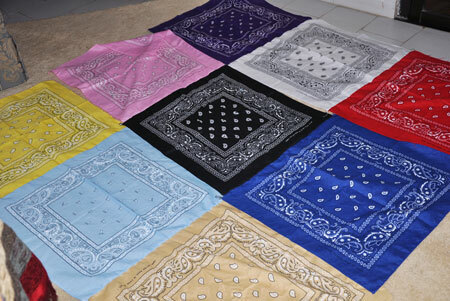 Continue with remaining making a total of three rows with three bandanna squares in each. Now sew rows together by sewing the bottom of the first row to the top of the next row and follow with the third row until all three rows make a big square. To prepare your backing you will need to cut two strips of your material and sew down the middle. This will make a large enough piece to be your backing. Lay backing flat on floor with right sides down. Lay batting over the top of your backing. 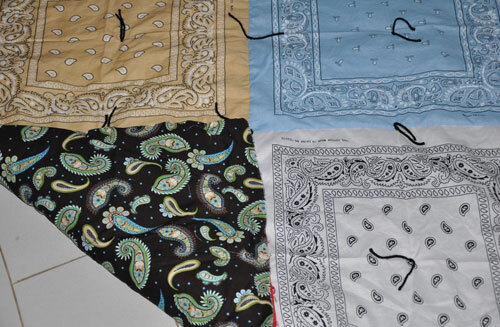 Lay top bandanna square over the top of your batting with right sides up. Smooth material flat, making sure material is not bumpy or lumpy underneath or on the top layer. Safety pin edges of material together working out bumps and smoothing material as you go all along the edges. With yarn or embroidery thread tie quilt together. 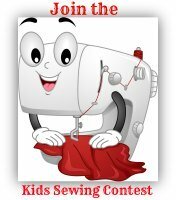 Learn how to tie a quilt. Unpin edges and cut excess material around edges. Using your bias tape pin all around edges. 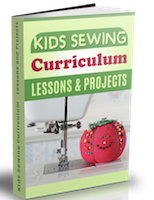 Learn how to sew blanket binding or use bias tape. Sew in place taking out pins as you go along. When you are done, double check to make sure there are no holes in your edges. If so take seams out of areas where bias tape doesn't cover edges and resew. 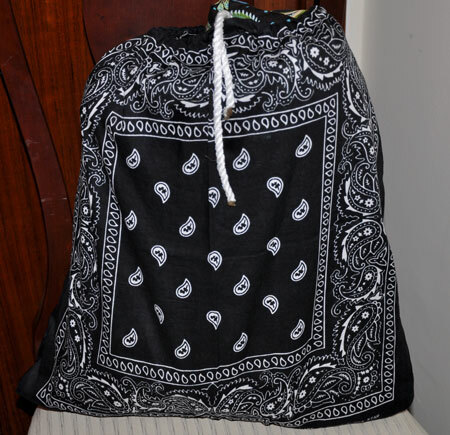 Now create a bandanna drawstring bag to store your quilt in.